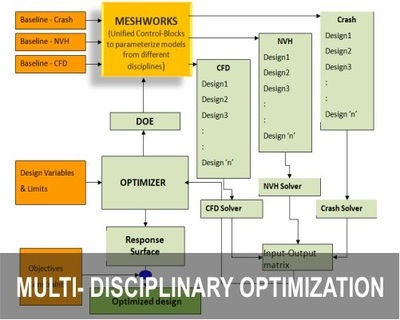 MeshWorks has a powerful advance meshing module will allow users to automatically create typical design solutions really quick and easily like “tetra-boolean” operations, acoustic cavity meshing, auto-rib creation etc. 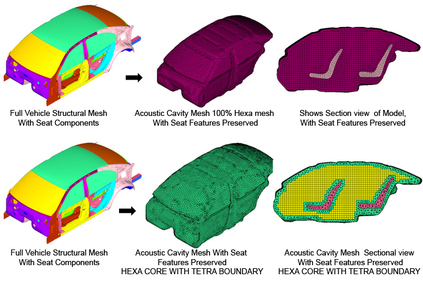 Purpose: Given the trimmed body model, this tool will automatically create an acoustic cavity mesh comprising of a) 100% Hexa Mesh, b) Hexa/Tetra Mesh, c) 100% Tetra mesh. Seat features can be preserved. 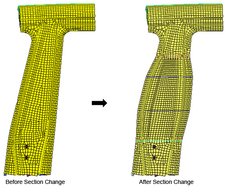 Purpose: Given target sections and a source FE mesh, this tool will update the source mesh to fit the target sections. 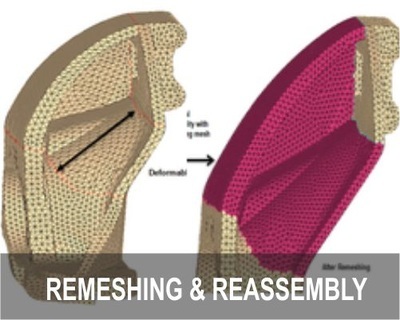 Purpose: This tool will create new Tetra Mesh by ‘unioning’ or ‘intersecting’ two different Tet Mesh components. 1. Cutting holes in a Tet Mesh component. 2. 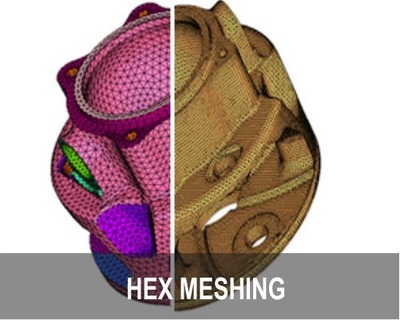 Joining different Tet Mesh components. 3. 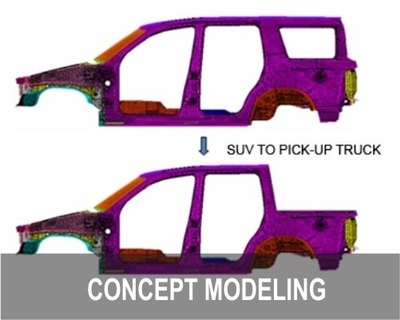 Design space model creation. 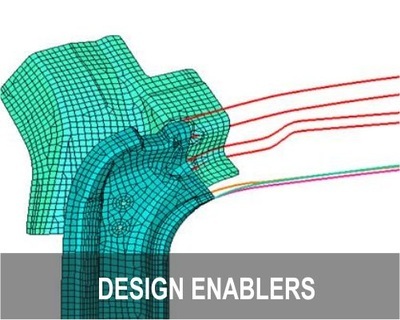 Purpose: Given a shell mesh with holes or holes represented by 1D elements, this tool will automatically fill the holes with compatible mesh. 1. 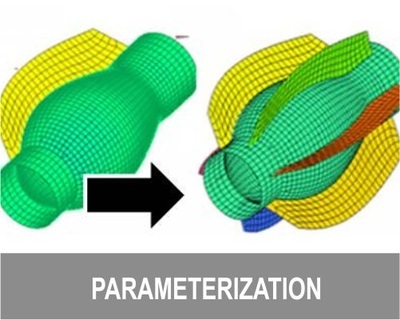 Creation of approximate closure components. 2. 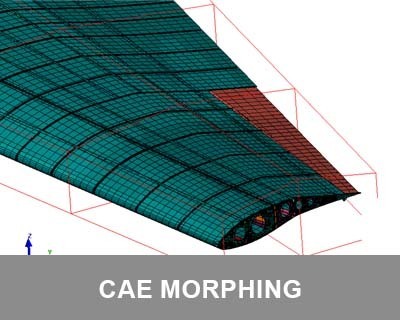 Preparation for acoustic cavity meshing. 3. Preparation for Powertrain wrap. 4. Design Space Boundary Creation. 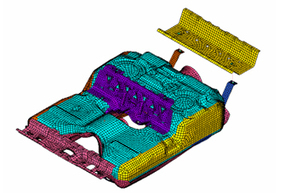 Purpose: This tool will automatically parameterize fuel tank FE models and generate design.